This time around, kids can audition as duos and trios too! Bhubaneswar, 16thJanuary 2018: Even as Dance India Dance Season 6 sets new benchmarks in the world of dance with spectacular performances presented by India’s youth, the stage is already being set for the children in our country to take their dance dreams to unparalleled heights. In keeping with Zee TV’s new brand ideology ‘Aaj Likhenge Kal’, the channel is all set to give wings to the aspirations of India’s most talented child dance prodigies with the onset of city auditions of the widely popular franchise DID Li’l Masters. As DID Li’l Masters returns with another exciting season, Zee TV’s nationwide auditions for this ultimate dance reality show for the younger generation is set take placein Bhubaneswar on 17th January 2018. So, if you think your child has the ability to set the DID stage on fire with his/her moves and has all the makings of a ‘Dance Ke Blockbuster’, head out for the DID Li’l Masters auditions and give them the opportunity to showcase their talent on national television! 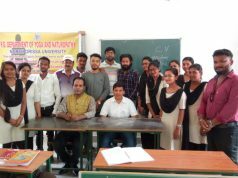 DID Li’l Masters’ auditions in Bhubaneshwar on Wednesday, 17thJanuary 2018 will be held atKIIT University, Student Activity Centre, Campus 13, Patia, starting 8 AM. Audition gates will open to every young dance enthusiast in and around Bhubaneshwar, in the age group of 5-14 years and this time around, kids have the option to audition solo, in duos and even in trios! So, get your track along on a pen drive and floor the judges with your moves. Auditions for the show will be held across 16 cities including Lucknow, Amritsar, Agartala, Guwahati, Bhubneshwar, Itanagar, Deradhun, Nagpur, Chandigarh, Jaipur, Baroda, Bengaluru, Kolkata, Delhi and Mumbai starting 15thJanuary. 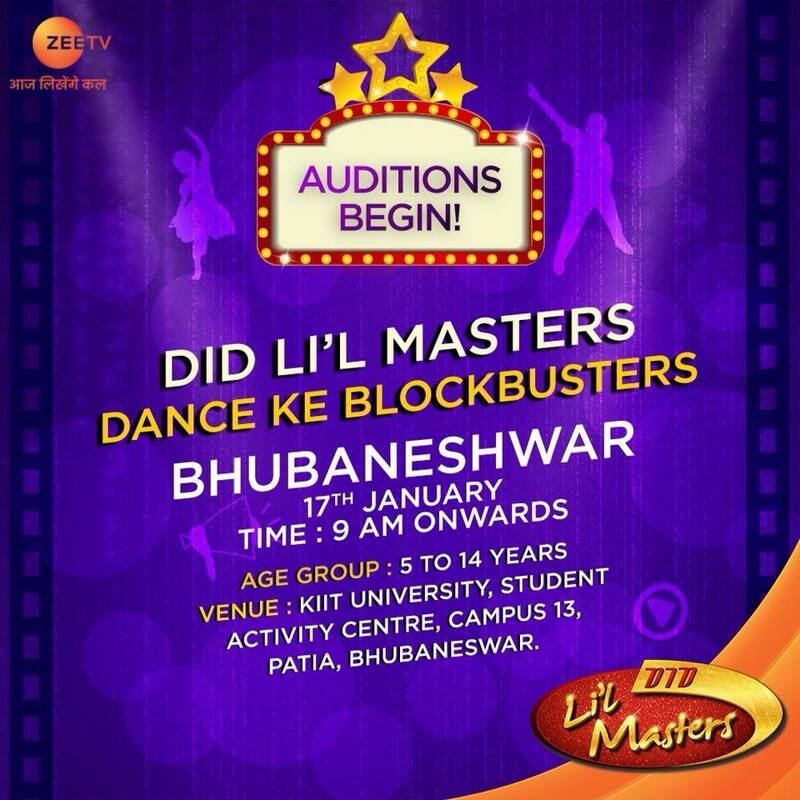 So, if dance is your child’s passion and their moves can entertain millions; if you believe that they have what it takes to become the ‘Dance Ke Blockbusters’, then join in for the auditions of DID Li’l Masters!